Fresh Roma tomatoes are roasted over an open flame to intensify and sweeten their flavor. 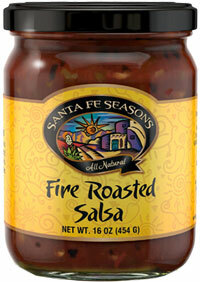 Smoky Chipotle Chiles round out the rich flavor of this delicious salsa. This salsa is happy to accompany a steak or chips.